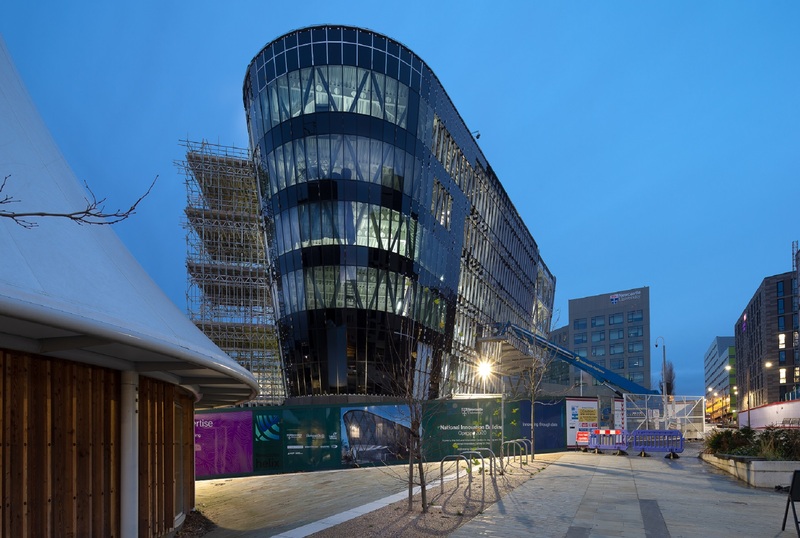 Located at the Newcastle Helix site, the National Innovation Centre worth approximately £50m is one of the most complex and unique structures in the entire city. 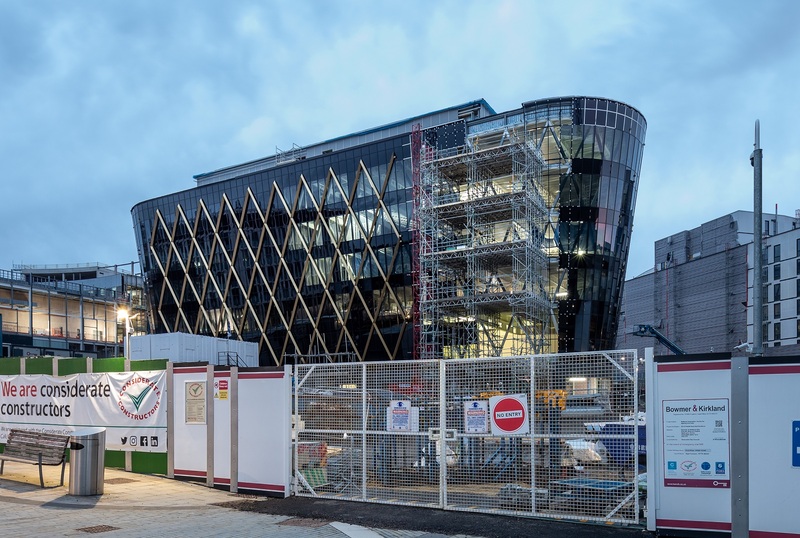 J & D Pierce were awarded the structural steelwork package for this Grade A, 6-storey building, with Bowmer & Kirkland as its main contractor. 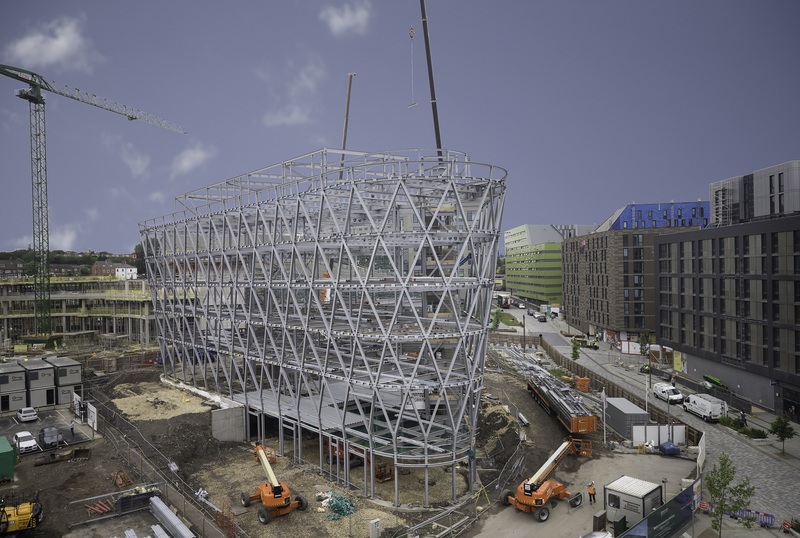 The building has uniquely fabricated ‘Y’ frames with twisted fabricated columns to the perimeter. 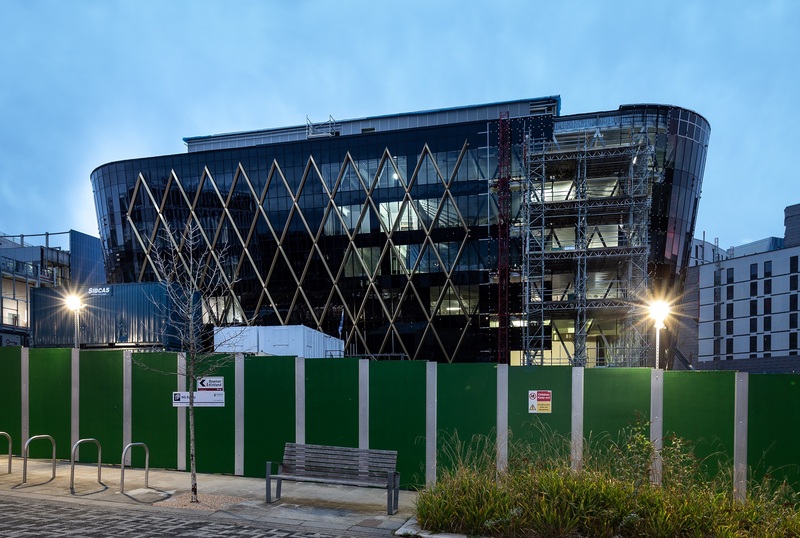 In order to achieve a clear span office accomodation and reduce the number of internal columns, cellular beams were employed. 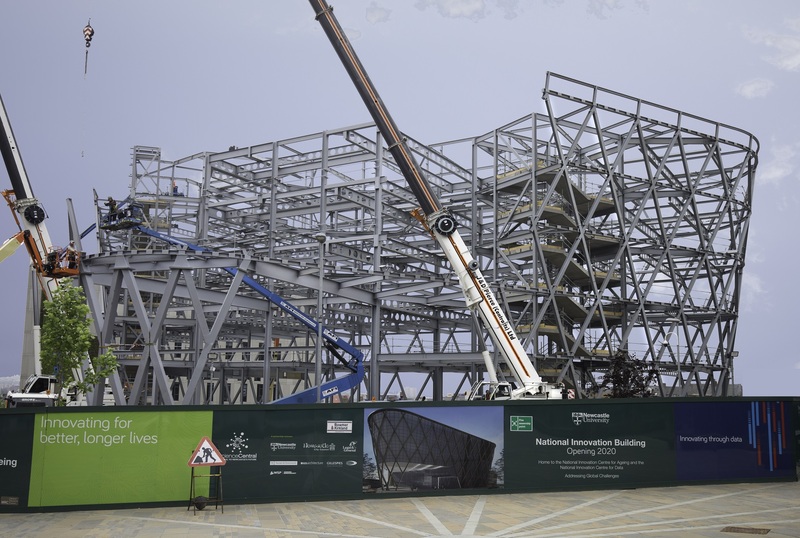 Within the building, steel packs of metal floor decking and pre-cast stair units were also provided by J & D Pierce. 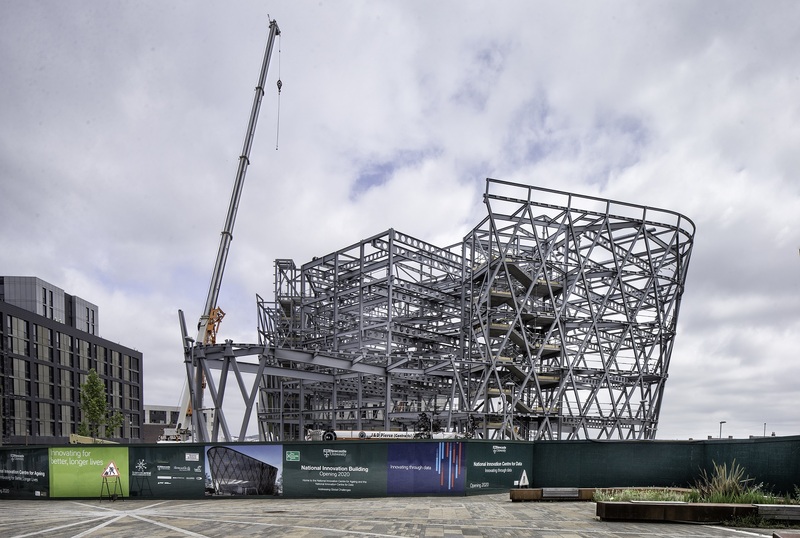 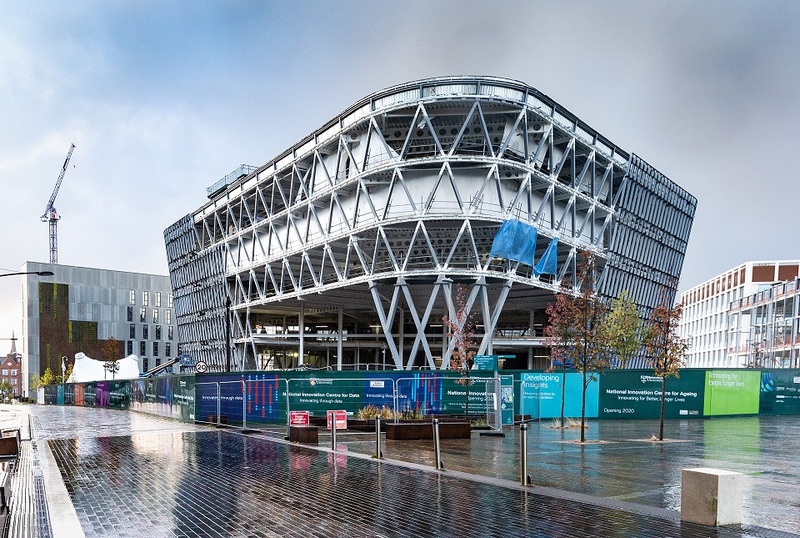 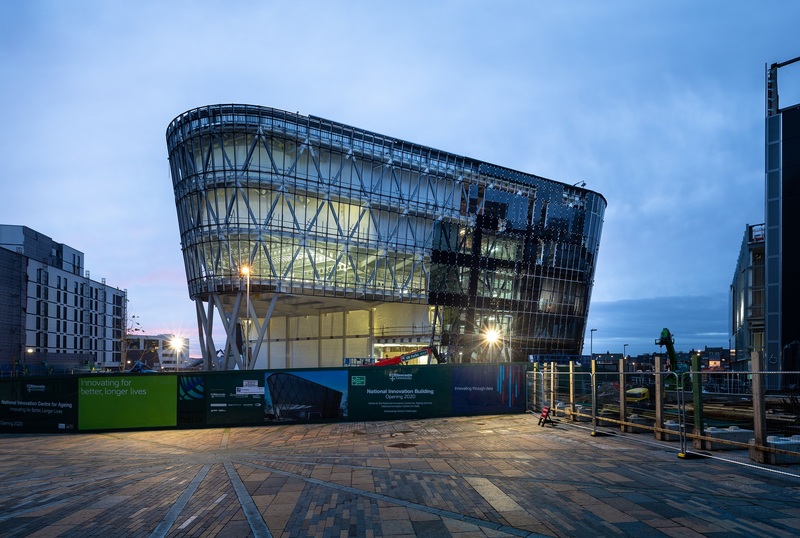 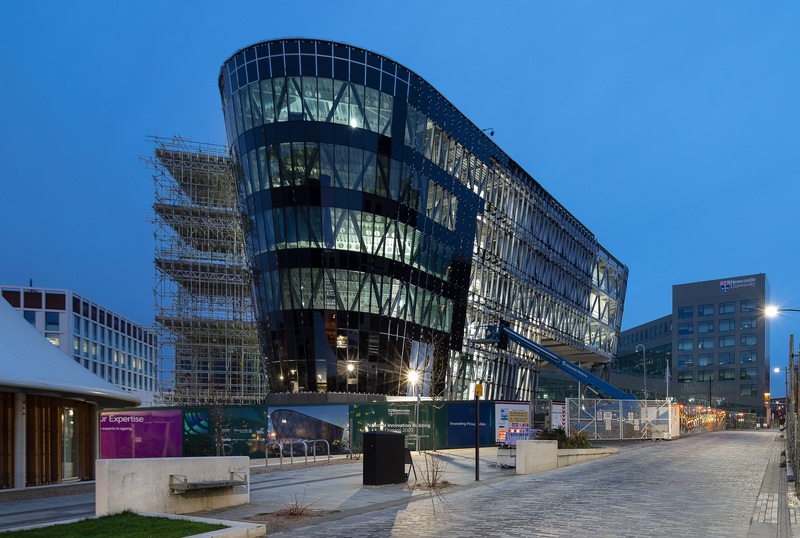 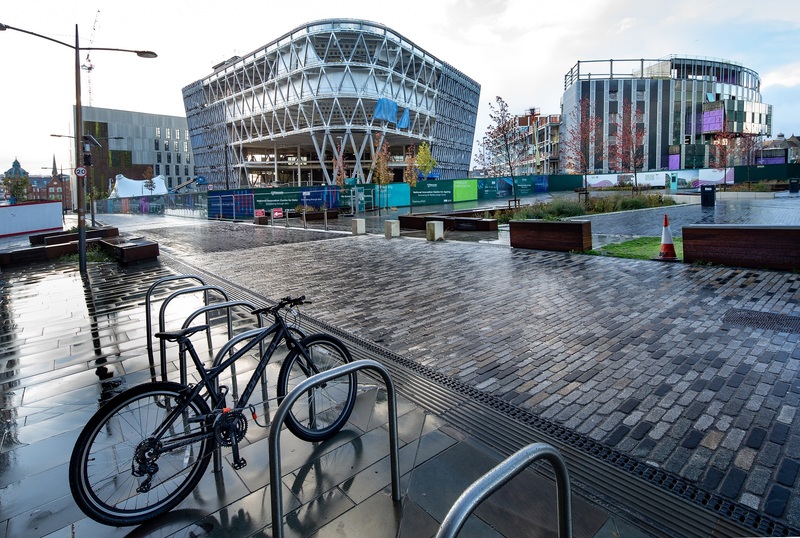 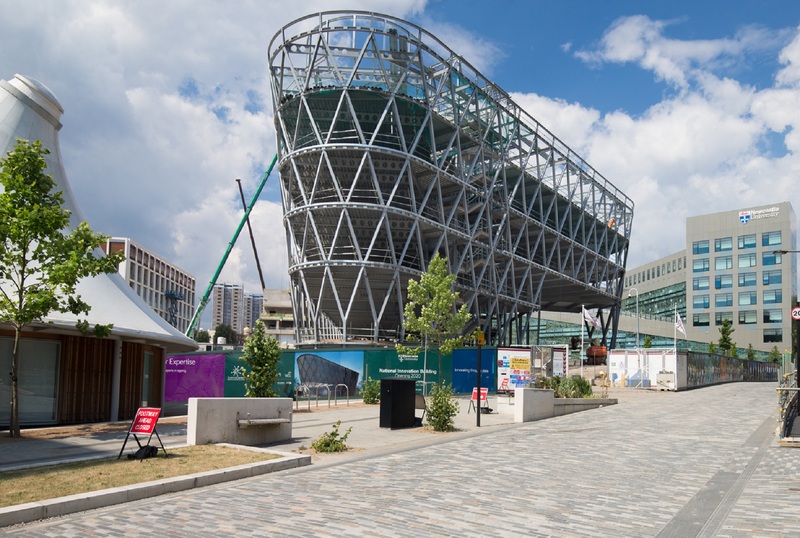 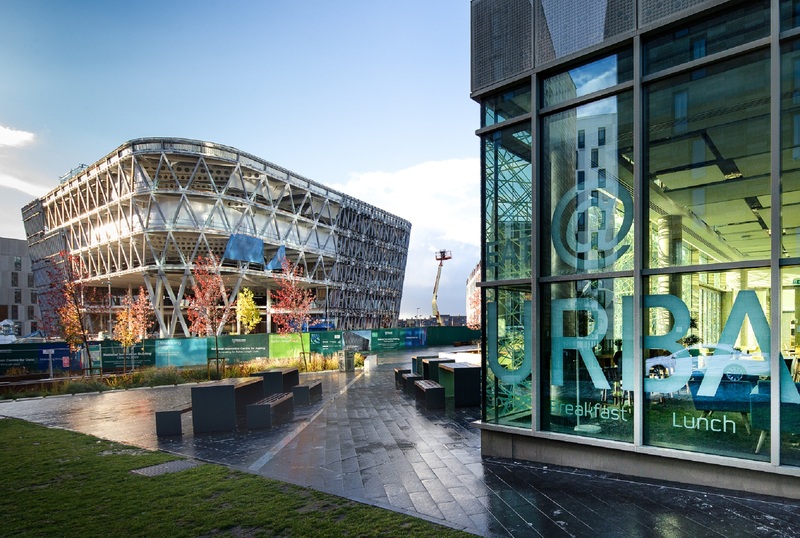 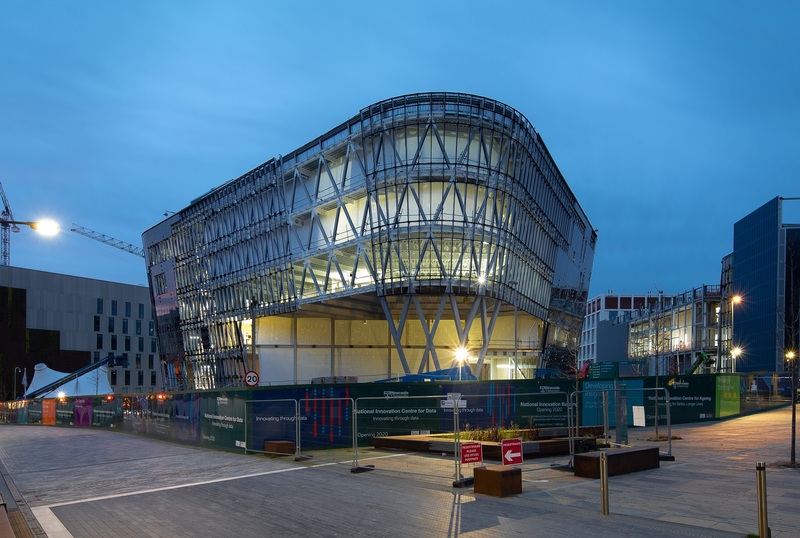 The National Innovation Centre is part of one of the largest urban regeneration projects in the UK, creating in excess of 4000 jobs, a total of 500,000 sq. 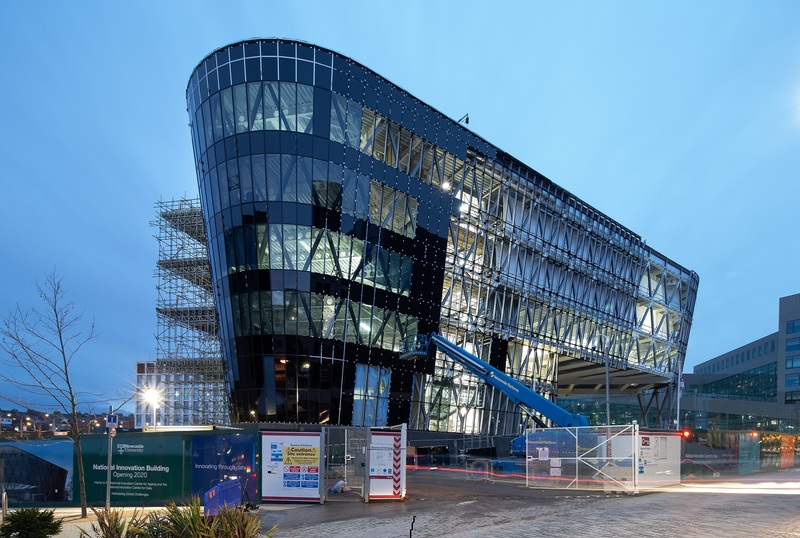 ft of office and research facilities, and 450 new housing. 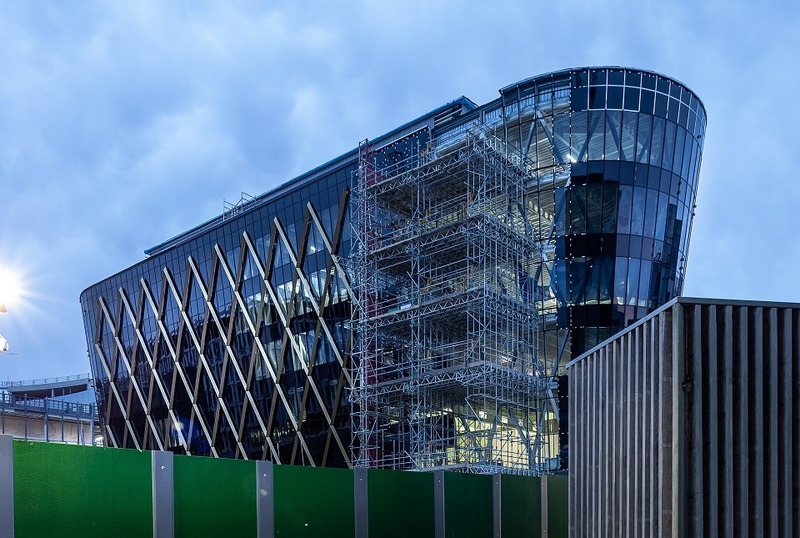 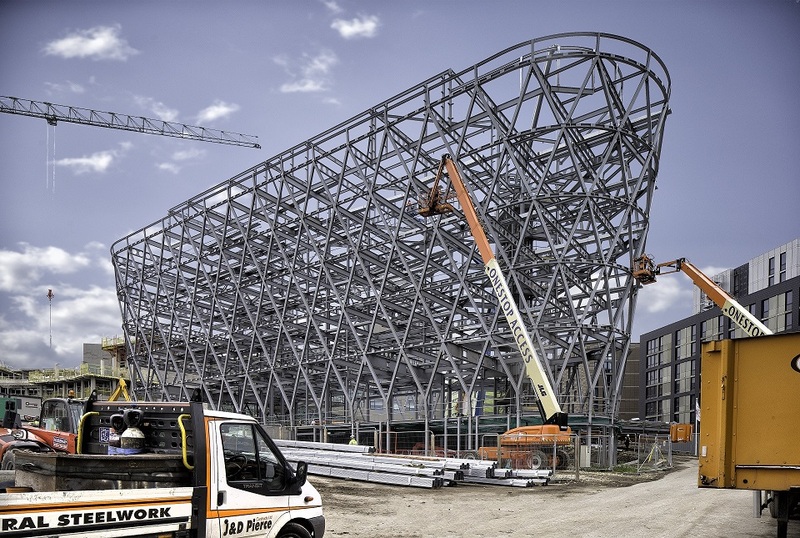 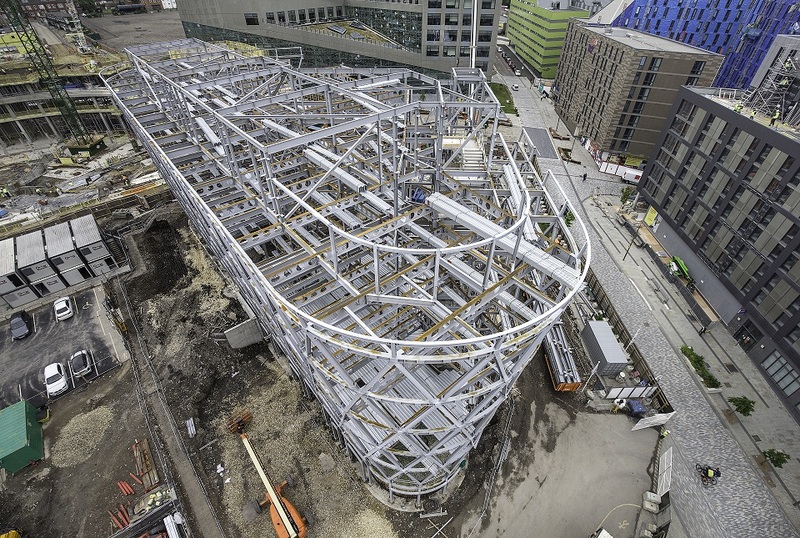 Click here to see our photographer, James Thompson’s work throughout construction of the National Innovation Centre.